After wrapping up the early season, three-race West Coast swing, the Monster Energy NASCAR Cup Series heads to Martinsville (Va.) Speedway for Sunday’s Martinsville 500. 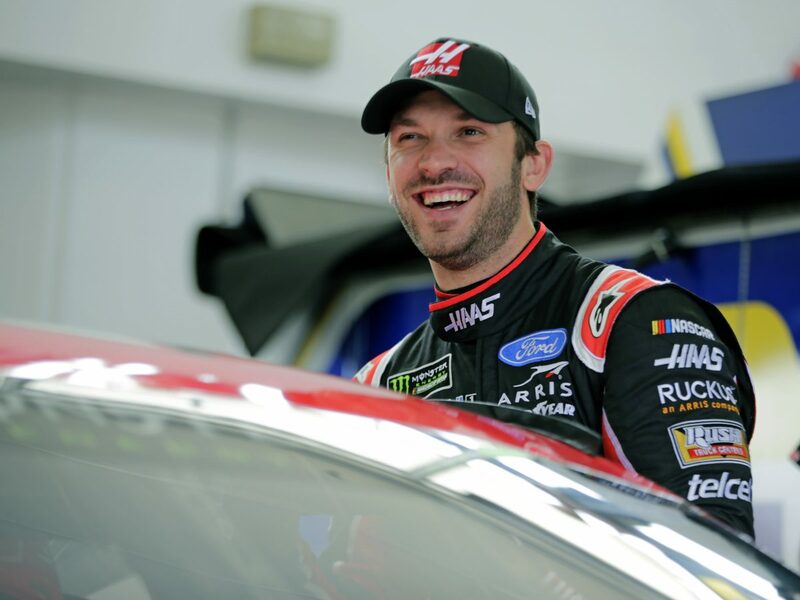 Daniel Suárez will pilot the No. 41 Haas Automation Mustang in this weekend’s event. Established in 1947, Martinsville is one of the oldest tracks on the circuit. Even though the sport has evolved over the years, Martinsville has always provided great racing for NASCAR’s premiere series. The short track creates the need for the bump-and-run technique, which is often used for passing as competitors work to advance their way through traffic. Suárez has four Cup Series starts at Martinsville with a best finish of ninth, which he earned in last year’s fall event. He has an average starting position of 16.2 there and an average finishing position of 18.5. Additionally, he has four Gander Outdoors NASCAR Truck Series starts at the flat half-mile, paperclip-shaped oval, which he used to gain experience for his Cup Series endeavor since the Xfinity Series does not race at the venue. In the Truck Series, he accumulated three top-10 starts, including one outside pole position, and two top-10 results, earning him an average starting position of 6.2 and an average finishing position of 11.5. After making the approximately 36-hour trip home from last weekend’s event at Auto Club Speedway in Fontana, California, NASCAR’s hauler drivers have a relatively short trek to Martinsville, which is located just about two hours northeast of the SHR shop. Suárez qualified 20th on the 2-mile oval at Fontana last weekend, then ran in the top-10 and earned four stage points before being relegated to a 13th-place finish. So far this season, Suárez has earned 16 stage points and looks to add to that number this weekend at Martinsville. Suárez and the No. 41 team look to improve their results, which so far this season show an average starting position of 19.6 and an average finishing position of 19.2, along with 12 laps led. Haas Automation, founded in 1983 by SHR co-owner Gene Haas, is America’s leading builder of CNC machine tools. The company manufactures a complete line of vertical and horizontal machining centers, turning centers and rotary tables and indexers. All Haas products are constructed in the company’s 1.1-million-square-foot manufacturing facility in Oxnard, California, and distributed through a worldwide network of Haas Factory Outlets. This weekend marks the fourth time Suárez has piloted the Haas Automation scheme. A year ago this weekend at Martinsville, Suárez’s SHR teammate Clint Bowyer captured the win in dominant fashion on Monday after the regularly scheduled Sunday race was postponed due to snow. Bowyer’s Martinsville win was one of 12 points-paying victories SHR earned last season. The Virginia track is the shortest of the season for the Cup Series but one of the toughest. Suárez looks to earn his best finish of the season there venue Sunday. Ford has 29 all-time series wins at the “paperclip,” including a sweep last year by Bowyer and fellow Ford Performance driver Joey Logano, who won the fall race. What do you like about going to Martinsville? Is there a favorite type of exercise that you prefer to do to stay fit?